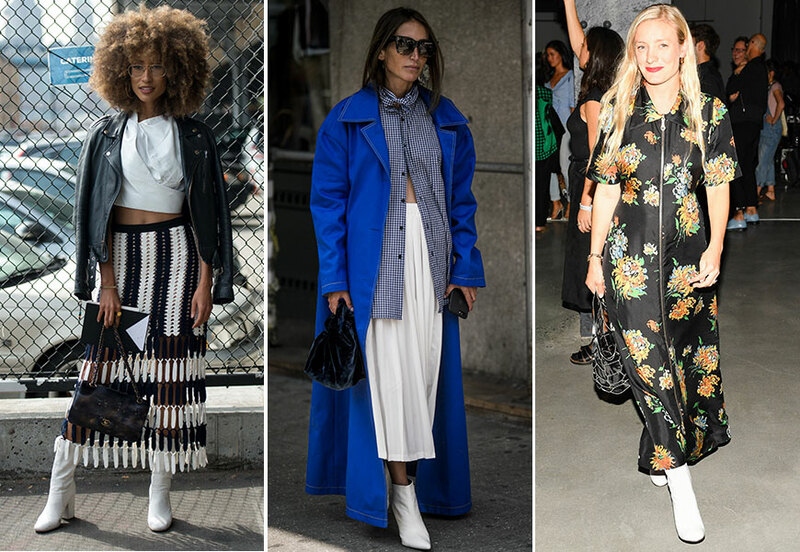 The street style clan at New York Fashion Week – loving white boots. 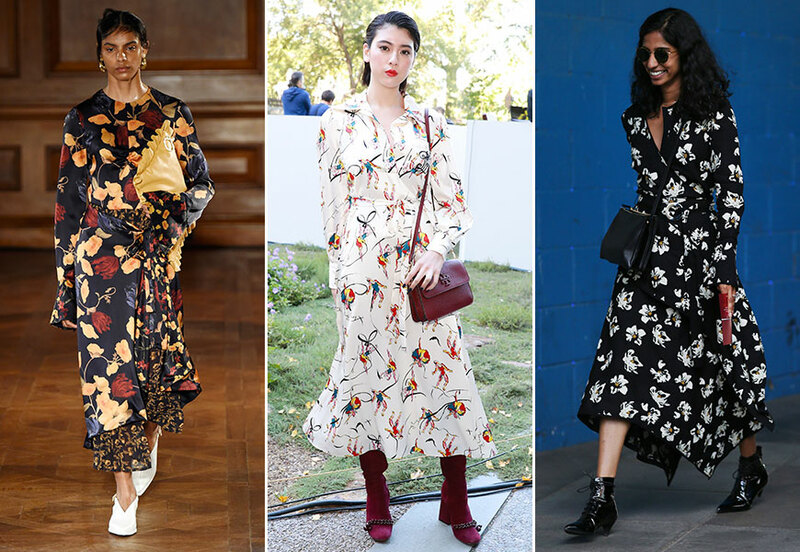 This transitional period can be a sartorial minefield, and the biggest conundrum is what to wear on your feet while we segue from summer into autumn. 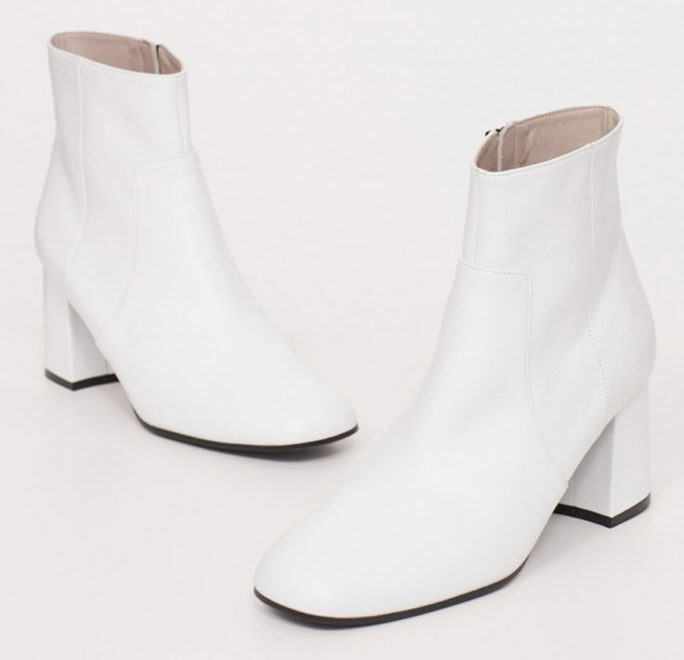 Looking at the well-shod editors, stylists and celebrities hitting the shows in New York and London, the answer is white ankle boots. Providing the much-needed coverage of a boot without the heaviness of a classic black style, they’re the perfect pairing for this season’s floral midi dresses but look equally good with cropped denim and an oversized knit. Rihanna sent them down the runway at her Fenty Puma by Rihanna show, meaning you’ll still be wearing them next season too. 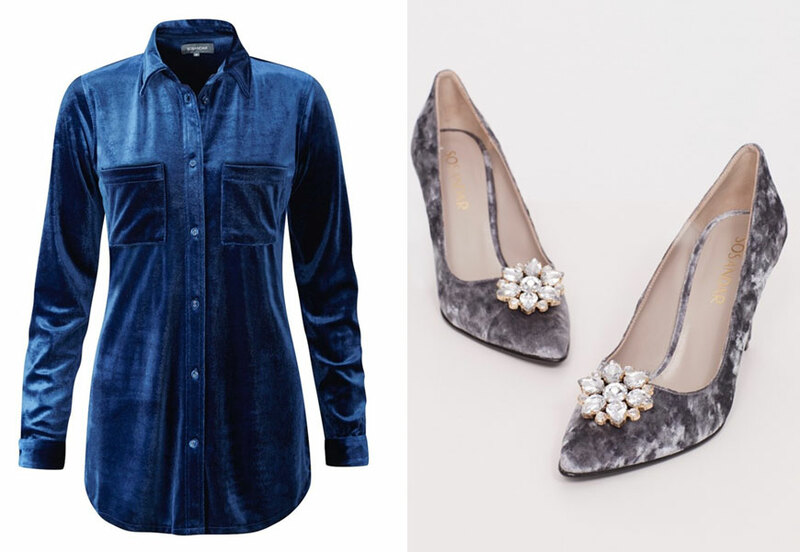 Nail the look with our comfy and cool block heeled pair. Victoria Beckham Show, London Fashion Week. 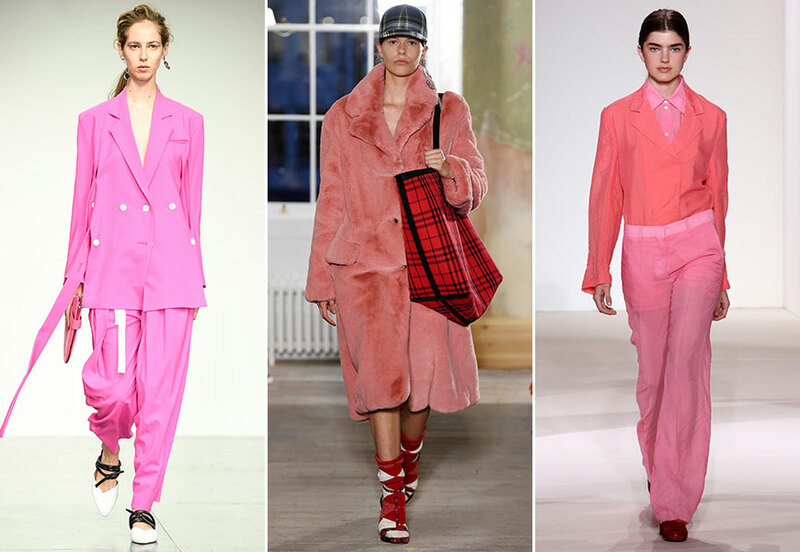 The colour hit of summer 2017, pink has officially become a credible colour choice past aged five. Now a bona fide regular fixture in the wardrobes of some seriously stylish women, we spotted it on show-goers and catwalks alike – Prabal Gurung and Victoria Beckham in New York, Burberry and Eudon Choi in London to name a few. 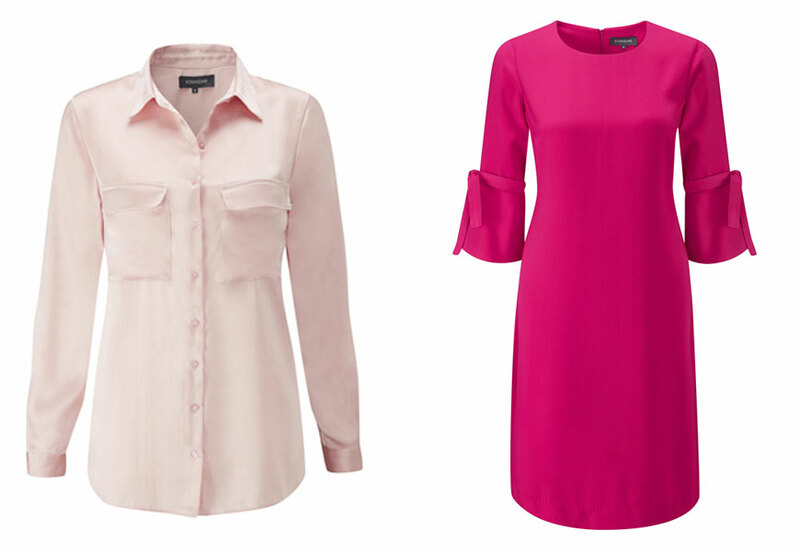 From blush to Barbie, look for classic styles like shift dresses and silky shirts to keep the vibe on the sophisticated side. 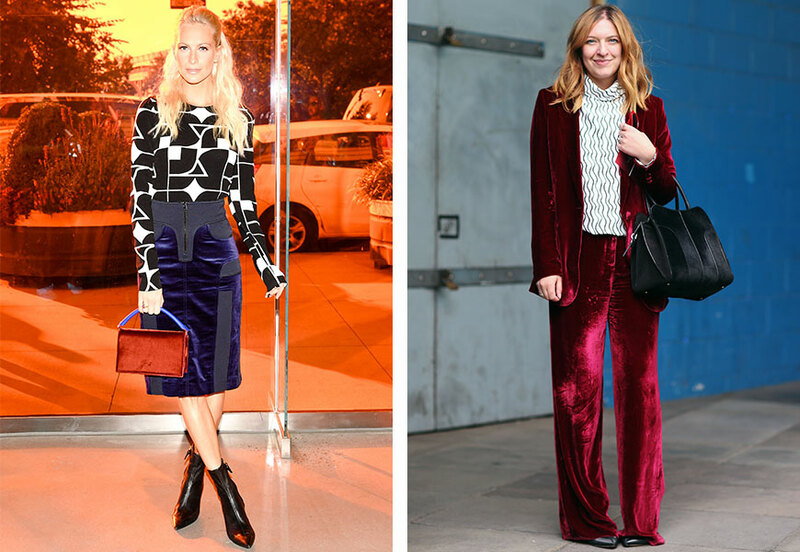 Poppy Delevigne, Diane Von Furstenberg show, NYFW & Natasha Pearlman, LFW. 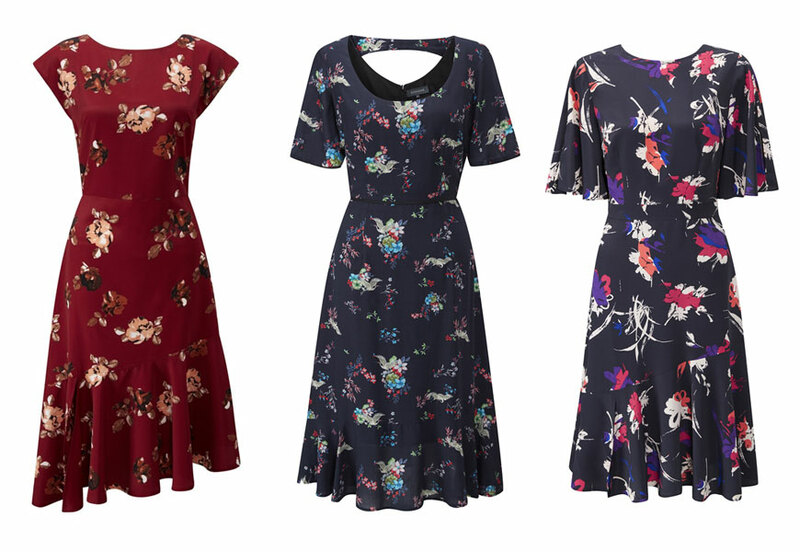 If there’s one item no autumn wardrobe is complete without this season, it’s a floral midi dress. Groundbreaking, no, but they can’t be rivalled for effortlessness and impact. London label Mother of Pearl showed moody-bloomed midi’s, while the style set’s petal-adorned dresses proved the ultimate catnip for the hoardes of street style photographers waiting outside the shows. Wear with ankle boots now – the aforementioned white will score double style points – then switch to suede knee-highs and layer over a polo neck later. Street style, NYFW & Angela Scanlon, LFW. They say if it ain’t broke, don’t fix it, but sometimes a little tweak can’t hurt. Case in point the latest incarnation of the classic biker jacket in rich red. 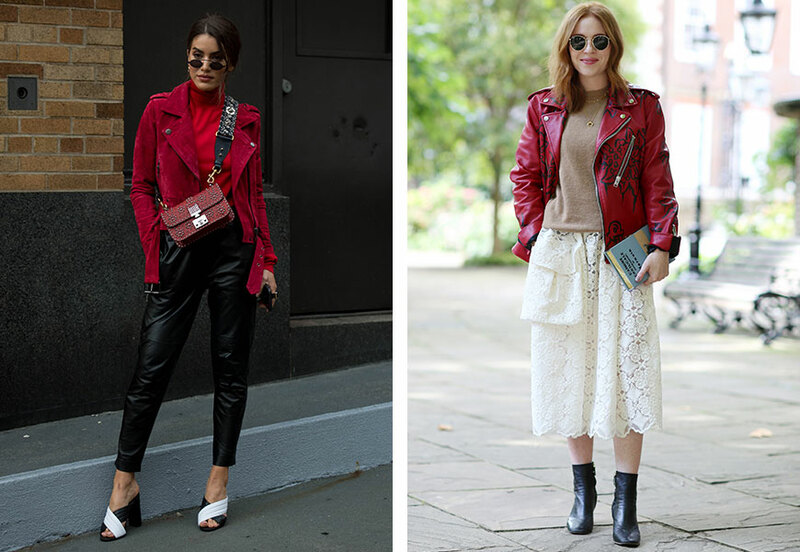 Perfect for tackling the transitional weather (read: freezing in the morning, overheating come lunch) we spotted presenter Angela Scanlon rocking a red leather cover-up to LFW while a street styler sported a suede incarnation in NY. We’ve updated our go-to biker – crafted from the softest luxury leather – in deep burgundy to create a modern wardrobe classic you’ll wear year-round. 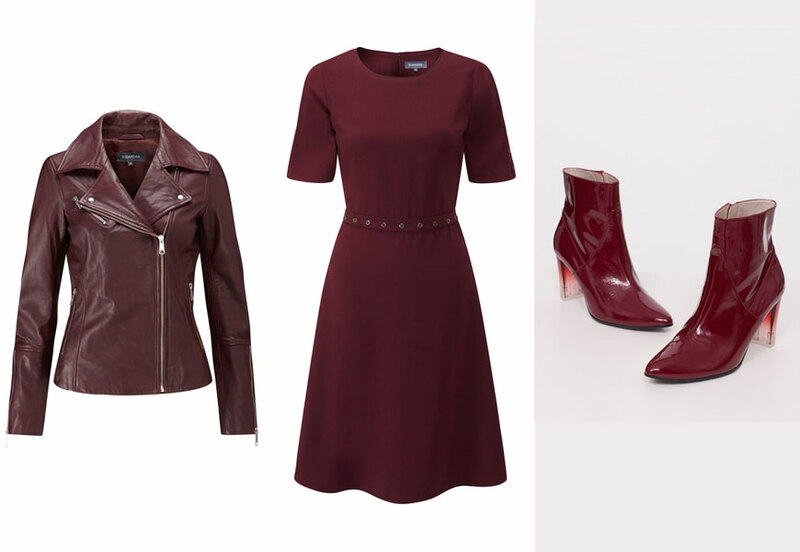 Follow Angela’s lead and pair with chic camel and cream shades, or try head-to-toe red with our burgundy rivet dress and patent boots.